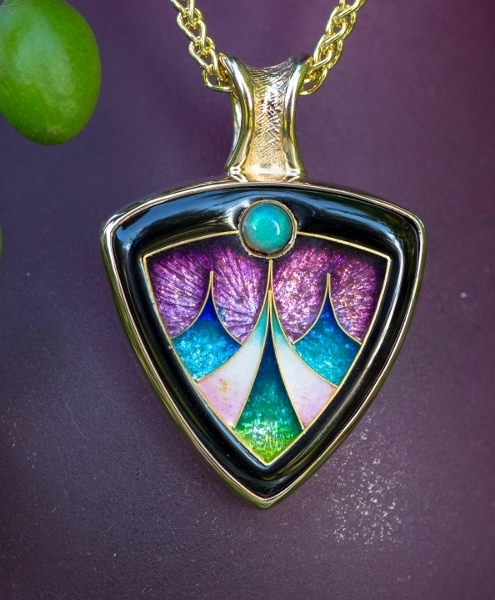 This gorgeous hand crafted pendant is 14Kt yellow gold with an opal. Cloisonne is an ancient enamel technique from around 1500 BC. This technique of jewelry making is both very intricate and difficult to make using up to 10 layers of enamel.